Chandler, AZ (9/28/2018) - Weller Racing’s Corry Weller won both Turbo UTV races, and Brock Heger continued his consistency during the Lucas Oil Off Road Racing Series events at Glen Helen Raceway in Devore, CA. Heger had difficulties in Friday’s Production 1000 race. 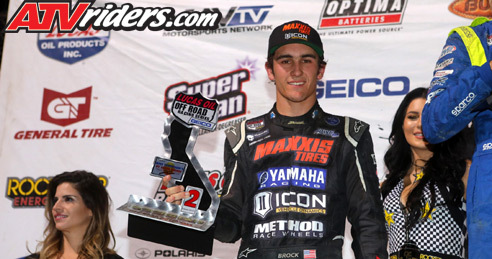 After taking the lead in his Yamaha YXZ 1000R after the midrace caution, he had a suspension issue that took him out of contention. In Saturday’s race, he rebounded, finishing second. He now holds a 31-point lead in the championship standings. 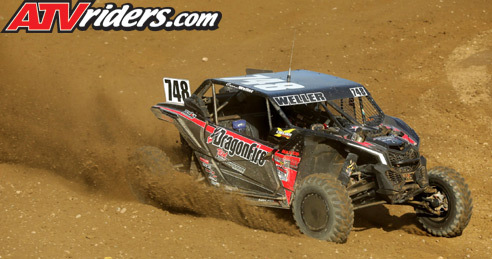 Weller outclassed the Turbo UTV field. In Friday’s race, she took the lead on the second lap and held it until the end. She put on a similar performance in Saturday’s race to sweep the weekend. With five victories this season, she now leads the points by 25 going into the final race of the season. Weller relied on the performance of her Dragonfire Racing Can-Am X3 during the races. Along with the victories, she scored the fast lap in both races. She accomplished that task due to her Fox Shocks and Maxxis tires. While team owner Jason Weller had a tough weekend in Production 1000, he was pleased with the overall performance of the team. He had issues with contact in both races, but still sits fourth in points. The Weller Racing team will return to action when the series finishes out the season at the Wellers home track: Wild Horse Pass Motorsports Park in Chandler, AZ. The final points race is scheduled for October 20 with the special Lucas Oil Challenge Cup the next day.